Be it with my family, partner or girlfriends, I am always up for afternoon tea (aka high tea) indulgence. 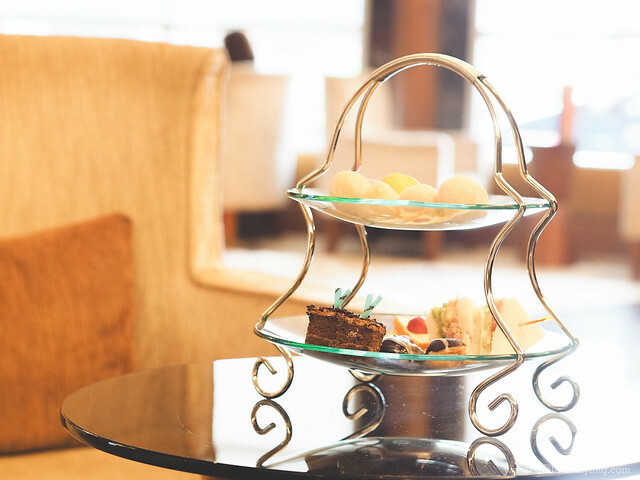 Don't you just love to catching up with your girlfriends over a wonderful high tea session? 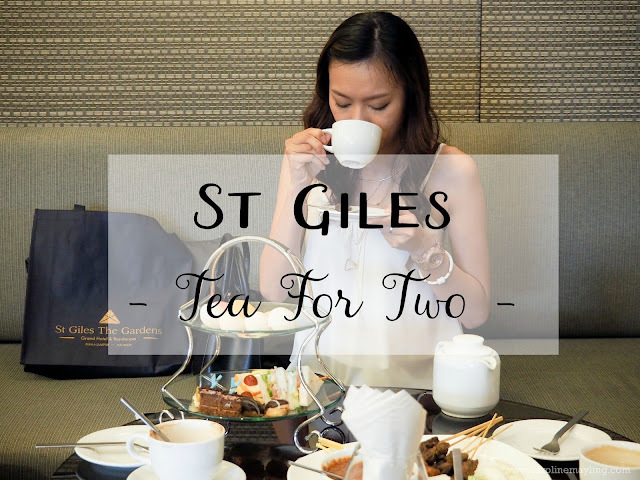 It's really hard to date my girlfriends on the weekdays and I settled with dating Eric out to try out the Tea for Two promotion at the Lobby Bar, St Giles The Gardens. 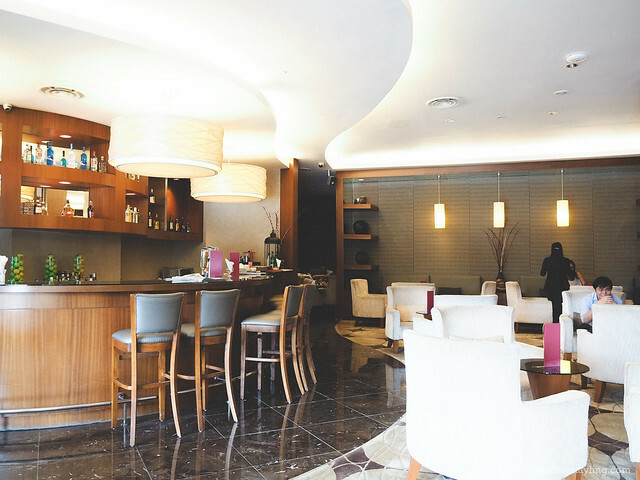 The Lobby Bar, located just inside the lobby, features modern, sophisticated design and a relaxed atmosphere. It was really cosy and I guess we just found another mobile office (complimentary wifi available)! 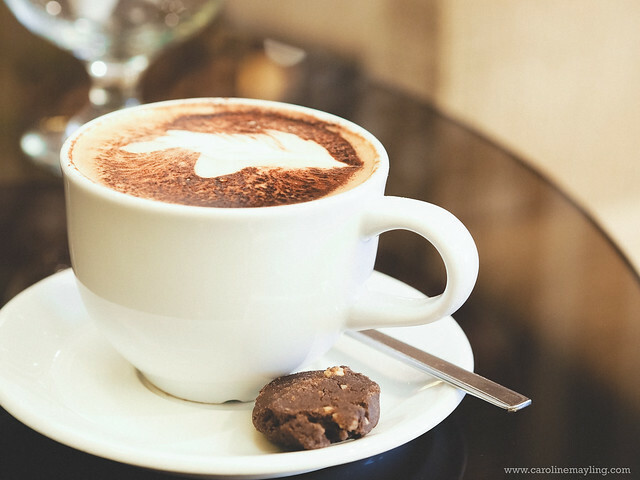 The Lobby Bar offers a sumptuous selection of coffees, teas, fresh juices, cocktails, mocktails, wines and snacks. Some of the selections available includes Fish Fingers, Deep Fried Calamari, Sugarcane Prawns, Satay and Classic Club Sandwich. 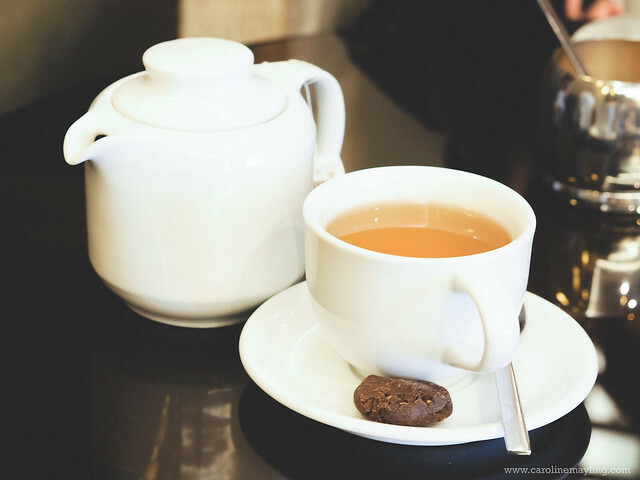 The Tea for Two afternoon tea set is priced at RM48 nett for 2 persons, inclusive of two cups of teh tarik or kopi tarik. 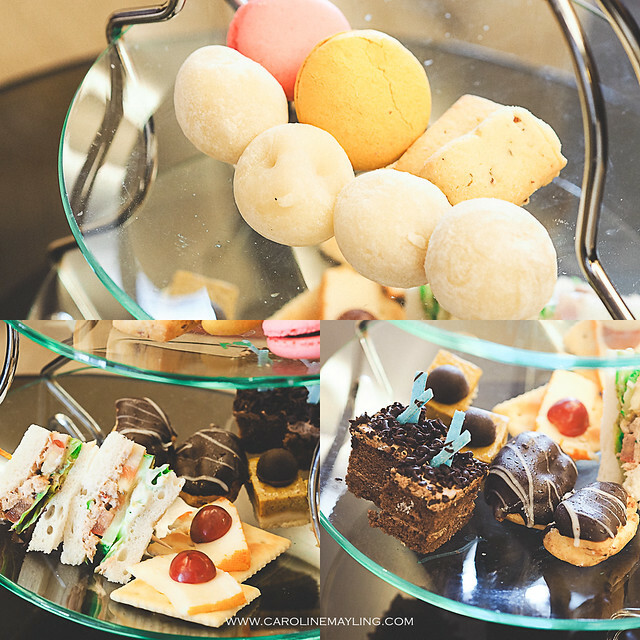 We enjoyed everything that served for the tea for two - mini sandwiches, macarons, mini chocolate cakes, chocolate cookies, kuih, and etc. The macarons weren't overly sweet but just nice to my liking. Yums! Of course, you can always order other snacks from the menu too. 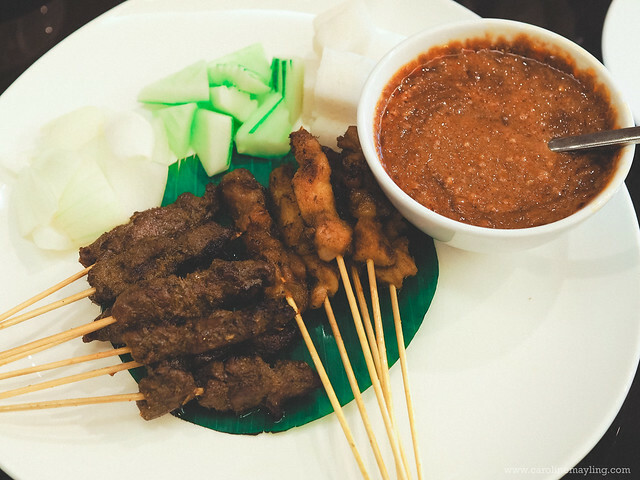 Eric ordered the satay, it was good, but there's nothing much to shout about this. It was overall a pleasant experience of indulging the Tea for Two. We had a great catch up after all the busy days with work. Oh! Starting from 1 September to 30 September 2015, Lobby Bar offers Mini Finger Sandwiches served with fries and a soft drink. Priced at RM45 nett per order. For more information and reservations, please call 03-22681188 (ext.6128) or log-on to www.StGiles.com.